(from left to right) Fr. Alberto Eseverri, C.Ss.R., Fr. Edilberto Cepe, C.Ss.R, Fr. 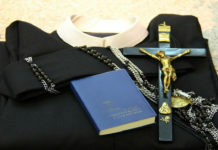 Joseph Musendami, C.Ss.R., Fr. Manuel Rodríguez, C.Ss.R., Bro. Larry Luján, C.Ss.R.. Fr. Hypius Václav, C.Ss.R., Fr. Rogério Gomes, C.Ss.R. 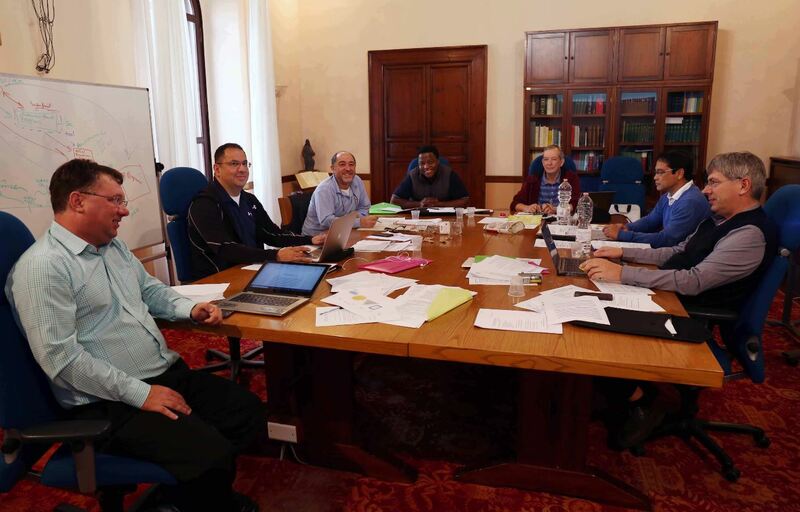 (Rome) The General Secretariat of Formation met from Monday, November 19th until Friday, November 23rd, 2018 in Rome. The members of the Secretariat are as follows, Fr. Alberto Eseverri, C.Ss.R. (Vicar General and president of the Secretariat), Fr. Rogério Gomes, C.Ss.R. (General Consultor), Fr. Manuel Rodríguez, C.Ss.R. (Secretary General of the Secretariat), Fr. Hypius Václav, C.Ss.R. (Conference of Europe), Fr. Edilberto Cepe, C.Ss.R. (Conference of Asia/Oceania), Fr. Joseph Musendami, C.Ss.R. (Conference of Africa/Madagascar), Bro. Larry Luján, C.Ss.R. (Conference of North America). The agenda for this meeting was quite ambitious as we projected into the future dialoguing about the courses and encounters with formators and students, the updating of the General Ratio Formationis Generalis, the Fundamental elements of Redemptorist Formation Programs at all levels, the Evaluation of the Congregation’s formation programs as dictated by decision # 30 of the XXV General Chapter and the publication of articles and volumes of “Tools for Formators” that can help the formators in their tasks. The General Secretariat of Formation, as every dependency of the General Government, has been faithful to its mission during this sexennium of pro-actively moving forward with the demands of the renewed Apostolic Priorities of the Conferences and the multiple dynamics involved in the Restructuring and Reconfiguration of our units. The Secretariat was fortunate to have two sessions with Father General, Michael Brehl, who spoke to us about the last Synod for Youth to which he was an active participant. We also had an intervention by Fr. 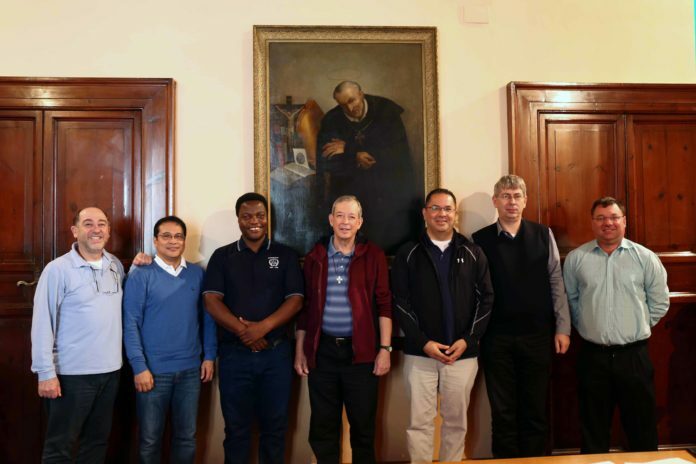 Cristian Bueno, the executive secretary of the Secretariat for Evangelization, who spoke to us about the plans and projections of the Commission for Youth, which is part of his Secretariat. 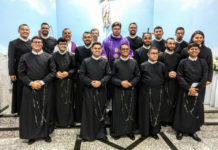 The General Secretariat of Formation believes in the importance of mutual collaboration between the different areas and offices of the Congregation, especially, besides the areas just mentioned, the Office of Communications and the Center for Spirituality.